November is here again for 2017! We are excited to encourage everyone to participate in the Movember tradition in support of the prostate cancer awareness and programs right here at home at the Winchester District Memorial Hospital. The local event known as Dare to Flash a Stache is taking a hiatus, but the national donation organizations are continuing their work. See more at ca.movember.com! What’s it all about? Maybe it’s best said in this video of a presentation from a Movember co-founder at a TEDx talk in Toronto. Phew, that was a little heavy, how about a little video of moustache fun…just quick. During November each year, mustaches sprout on thousands of men’s faces around the world to raise awareness and funds for men’s health issues, specifically prostate and testicular cancer initiatives. These men start November 1st clean shaven. For the rest of the month, they (hopefully) groom, trim and wax their way to a fine example of what a moustachioed man can be. 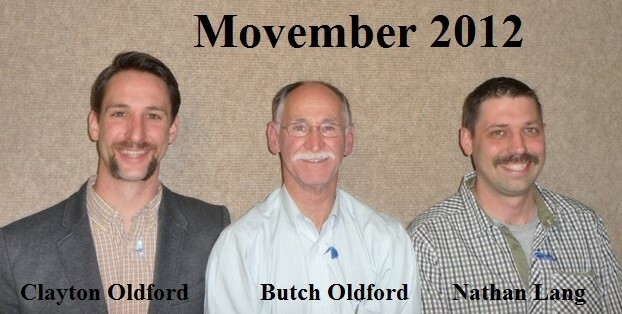 Mo Bros, with support from their Mo friends, seek out sponsorship to raise funds for their mustache-growing efforts. In 2011, over 854,000 men and women around the world got on board in an organized manner and manage to raise $126.3 million. Other numbers happened since then, and they’re good too! Movember participants are encouraged to organize local events. As such, the local Dare to Flash a Stache was born to keep the fundraising local to the Winchester Hospital service area. As Movember inevitably nears its conclusion, the abundance of facial hair may decline, but the mustache theme doesn’t seem to be going anywhere. Mustaches have made their way into the fashion world, taking over clothing and accessories in a variety of stores. You can buy a mustached themed hat, necklace, accessories, and well…almost anything. Check out ETSY online marketplace to see some great ideas. In 2012, the local efforts raised over $54,000 by the participation of 130 people. Let’s make this the best year yet! Join a team and moustache yourself or donate to the cause!! Even a 1$ donation is important!